Imagine entering a tropical island of lush green mountains, hotels cliffside, and beautiful bays and inlets along the coast. There are so many places in the world this could be, but in this case we are talking about beautiful St Lucia. An island filled with kind people, beautiful beaches and luxurious hospitality on every property that will be outlined below. If you are an activity junkie, enjoy lounging by the beach, or cannot get enough of water sports, tennis, spin classes, and the opportunity to try new things; then you have arrived at the right place! Upon arrival, you receive a whole booklet of all the activities there is to do every hour of the day. The beauty of it all is you can do as much or as little as you want! During your stay, you also receive a daily spa treatment, which can be booked two weeks prior ranging from massages, St Lucian specialty wraps or moisturizing facials. I highly recommend getting the Aloe Vera Body Wrap as your last treatment because then you go home with glowing, radiant skin! I know, what you are all wondering, how is the food? WELL, it is amazing! The breakfast is buffet, with multiple stations outlining what everything is, and they have daily specialty items, but the consistent ones are specialty omelets, fruit table, and tonnes of grains for yogurt or oatmeal. Anything you want will likely be there and you taste buds will be buzzing! Lunch is also buffet style, with lots of daily specials, and you honestly never feel bored, there is always gluten-free, vegan options that are clearly outlined, and the food it always so, so fresh! Dinner in the main restaurant is á la carte with a three course rotating menu every day of the week, and the food is always top notch! For dinner they also have Tao, which is Asian Fusion, and is rated the best restaurant on the island, and you get a reservation per week. On-site there is a paid restaurant named Cariblue with local, fresh seafood, and beautiful dishes. Definitely book this upon arrival, as it tends to book up very quickly! There is a juice bar that has a menu of over 30+ juices, protein balls, a treat wall and in the morning they also had protein pancakes! Now, what did a typical day look like for me? Well it changed every single day, but you almost get into a routine of the things you love doing! Mine always involved morning stretch class, tennis lessons, beach activities, evening spin & meditation, with eating, juice bar, and spa in between! When they say “give us your body for a week, and we will give you back your mind” they certainly mean it. I have never left a resort feeling more refreshed and energized! This resort is represented as a romantic, calm, all-inclusive meets absolute relaxation. They don’t have many activities, but they do have a small, gym, tennis court, and beach volleyball. The idea is to disconnect with your love, and honestly this resort makes you feel like it is just the two of you on the island in most instances. They have a beautiful lagoon with hidden little nooks with daybeds or loungers for you to relax, a beautiful long stretch of beach, and day beds on your balconies regardless of your room category. They had a beautiful spa area with a private pool and you can hand out there but it was a very quiet area. My boyfriend and I had a Balinese Spa treatment that was absolutely amazing and so relaxing! There was a few restaurants for dinner: daily buffet with a different theme everyday, Tryst à la Carte, and Malabar. For pre-dinner cocktails, I highly recommend popping into the Champagne bar. My favourite restaurant without a doubt was Malabar; it was a no shoe, toes in the sand, casual, and delicious restaurant. They have fresh fish cooked however you liked, and always came with a different side, and they had these jerk chicken spring rolls that were out of this world! It was all à la Carte for lunch and dinner, and I ate there for almost every meal! At night, they had an amazing local band play for a few hours, but the resort is very low – key and relaxing, and I would say it caters to an older audience. When planning an island vacation, many people gravitate to the all-inclusive for the ease of not having to cook, and to decompress without having to leave a patch of beach for the duration of their trip. Sometimes those trips are needed and I totally get it! This was my first time staying in a Villa, and it took me by surprise how much I enjoyed it! We got to be part of the St Lucian culture, go to the grocery store, eat at the local hot spots, and we did a lot of activities around the island, which included driving around the windy roads full of potholes. It all added to the experience! My boyfriend and I stayed in the villa with our two friends, it was three bedrooms, located near Gros Islet, with a view of the ocean, and had an amazing infinity pool. The villa gave us a lot of time to relax, but also made us feel like we had a little home on the beautiful island! I definitely recommend staying in a villa and it is just as relaxing as staying at an all-inclusive, it does take a little bit more planning, but it is all worth it! I suggest waking up super early to do this hike, and you will need a guide because there are not any signs to get up there! When you get to the beginning of the hike, there is a hut where you pay the fee to do the hike, and meet with a guide. He was super informative, funny and took pictures for us. The hike is moderately challenging due to the hot weather and it is quite steep. The view from the top is amazing; it takes about 1.5 hours up and 40 minutes down. After you complete the hike, I highly recommend going to Sugar Beach Viceroy for lunch, everything on the menu is UNBELIEVABLE and a great meal to cap off a hike! The catamaran down the coast is absolutely amazing! We did it paired with the mud baths, and it is so relaxing and fun to be on a boat with friends and strangers alike. You will sail down the coast past Marigot Bay, Soufriere, Anse Chastenent Inlet, and other bays, the whole experience is all incredibly mountainous and beautiful especially when it is all ending at sunset over the island. If you are staying at a resort or Villa on the Northern part of the island, I highly recommend ending your trip with a helicopter back to the airport. When you take the helicopter back, you fly over the pitons, and it is incredibly beautiful! It is a pricey transfer, but definitely adds to the experience of your trip! Article provided by Stacy, former Luxury Travel Agent, and now a Travel Blogger my website is awaywithstacy.com (website) and @awaywithstacy (instagram). We are happy to feature this amazing blogger on our website. 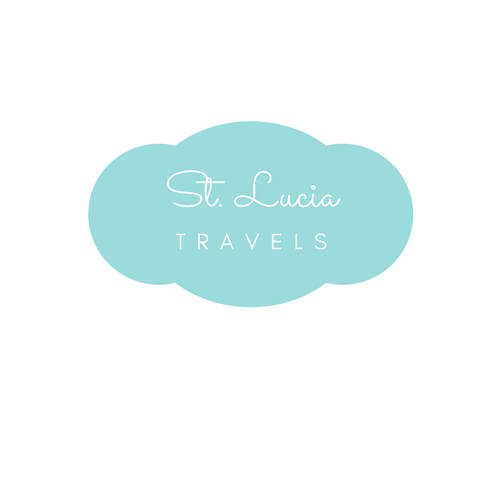 Looking to collaborate with All Things St – Lucia, visit this page! Ooo that water is SO blue. I hope to make it here one day. I’d be happy to stay at any of these places. So long as I’m near the water, I’m happy. I hear you. St Lucia is the best vacation location! I can see how the copter ride would be a bit pricey, but I bet it was worth it! The views look amazing! I’m not gonna lie, the food in the Body Holiday St Lucia hotel had me sold! And the hike sounds like it would be my favorite activity… aside from the helicopter ride cause I’ve never been on one and I think it would be AWESOME! Oh man this looks like a perfect place to visit! The photos are beautiful and I am sure it is even more so in person! Thank you for the lovely comment ! St Lucia is gorgeous and is the place to be! Wow, what a beautiful place to visit. I’d love to go one day, just my husband and I! You have taken such lovely photos! Now I would love to go visit! Perfection! That sounds like a fun place to be. I always enjoy island vacations, somehow my favourite ones. Thanks for providing this guide, will come handy when we visit St. Lucia. I don’t get to travel much but I will have to add this to my list of places to go. It looks amazing! Wow..This looks beautiful and fun place to visit. Thanks for providing this guide. Now I would love to go visit! This is gorgeous!! I would love to visit here someday. oh my gosh this looks amazing. i need to save this post so i can do there one day. maybe that will be our welcome home trip when my boyfriend gets back from deployment! You have taken such gorgeous photos! Now I would love to go visit! Added to my bucket list! Amazing!!! St Lucia is a fabulous vacation spot. I love your photos they are amazing. I would love to visit again one day. Oh that Marigot Bay looks incredible ! I love these posts ! Great write up! Your photos are gorgeous! St. Lucia is one of my dream trips, and we are planning to go on a Caribbean cruise that stops there. The catamaran down the coast sounds like a fantastic adventure!